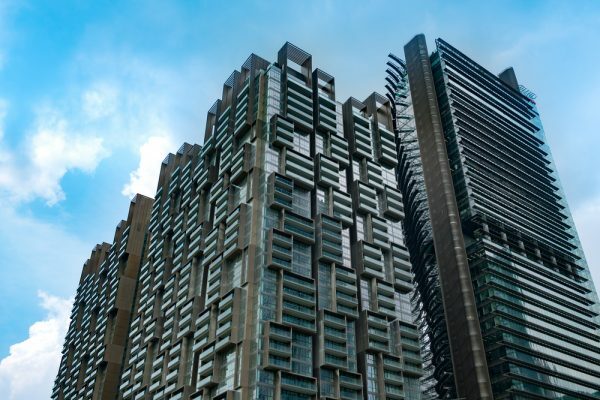 Singapore is arguably one of the most mature property markets in the world, and for most people whether citizens of the country or foreigners who want to own property, condominiums happen to be the most attractive option. It is one of the cities that offer high-quality lifestyle without breaking the bank (at least not too much). The country has efficient public transport, well-thought-out infrastructure and other amenities that make it quite an attractive place. Buying a condo in Singapore makes more sense because they are more affordable than purchasing a single unit home. They also happen to be among the most common type of properties in the market, and this is because condos are in high demand. Below is a guide on how to approach the process of buying a condo in Singapore. The first thing about purchasing a property such as a condo should identifying the preferred property. You can search for a property on your own through digital platforms, or you can choose to consult a real estate agent who will handle things such as viewings and any negotiations that will be involved. The Council of Estate Agents (CEA) governs property agents in Singapore, and it also provides the agents in case you decide to look for an agent to help you. Once you have identified the property that you would like to purchase, you can then start organizing your finances because you cannot purchase property without financing. Buying a home or a condo is one of the major investments that you are going to make in your lifetime. This means it is a highly serious affair and that it will also take up a significant amount of your finances. You must, therefore, secure the finances you require to purchase a condo. It could come from your savings, or you could consider taking up a mortgage. Condo prices tend to rise over the years which means that you might end up paying a higher amount for a condo that has been in the market for some time. It might, therefore, be a good idea to consider purchasing off plan. This option is almost always more affordable especially because developers offer discounts to off-plan buyers. However, this option is particularly suited to those that are not in a hurry. This because it might take up to three years before the condo is available. A property agent will make your condo pursuit easier. At this stage, you should also look for a lawyer to help with the legal issues. This will also simplify the process for the buyer. Keep in mind that if you take out a bank loan/mortgage to purchase the condo, then your bank will likely provide a lawyer who will guide you through the process. This is one of the most critical phases of the entire condo purchase process especially because it is quite technical. Once a buyer picks out a condo, he or she can pay a 1% percent option fee on the purchase price agreed upon. The option fee will allow the buyer to hold the property for a two week period during which other potential buyers will not be allowed to view the property. There is also a second 4% option fee that should be paid within a month after selecting the property and paying the first option fee. The buyer is then supposed to pay a down payment after the second option fee. The down payment is 15% if it’s the buyer’s first property and 45% it is the buyer’s second property. The rest of the amount can be loaned by the bank. Keep in mind that the two option fees have to be paid in cash, but the buyer has the option of paying the down payment through a cash and CPF fund combination. The CPF cash fund allows the buyer maximum loan amount that is 80% the price of the condo, but this is for first time buyers. Second-time buyers are granted 50% of the condo price. There were changes made to the Loan-To-Value limit, as well as the Total Debt Servicing Ratio (TDSR). Buyers are allowed to spend as much as 60% of their monthly earnings on repaying their debts. However, the amount is set at 30% of the buyer’s monthly income if the property being acquired is an executive condominium. Unfortunately, the end of the mortgage phase does not mean that the buyer is free of fees. There are still some fees that the buyer has to consider such as the Buyer’s Stamp Duty (BSD), which is a mandatory fee that is paid by every Singapore residents and even foreigners when purchasing their first, second or third homes including condos. The stamp duty is 1% of the first $180,000 that is part of the amount to be paid for the condo and a 3% stamp duty on the remaining amount. There is an extra 12% additional buyer’s stamp duty (ABSD) that is changed when the buyer is purchasing a second property and 15% on third residential properties. If you secured the services of an agent, then you will have to pay an agent fee for services rendered and also legal fees for the services offered by a lawyer. In case you purchased a new condo, then the developer will pay the agent. If the property purchased was a resale unit, both the buyer and the seller each contribute the agent fee. Once the entire process is complete, then comes the waiting period during which the buyer waits for the keys to their new place. The delay depends on various factors such as renovations. The delay may also be longer if the building is still under construction.